My building is being inspected for bed bugs. And the service hired is using dogs to do the detecting! 1- I am super excited to see the dogs – so I have plans to be home even though we were specifically instructed to vacate during the inspection. 2- I am going to try to pet the dogs, even though your are not supposed to pet working dogs. I not only love dogs. I love, love, love when dogs have jobs. It is so cool! Especially when they wear little uniforms. Eeeeee! But all cuteness aside, I think it’s amazing what dogs can be trained to do. And it’s wonderful how happy and motivated they are to be working. They are totally top workers. And they do it all just for pats and treats. Plus, no one freaks out about it like they do with child slave labour. It’s also healthy for some types of doggies to be working. Many working breeds are left alone at home which leads to boredom and frustration. 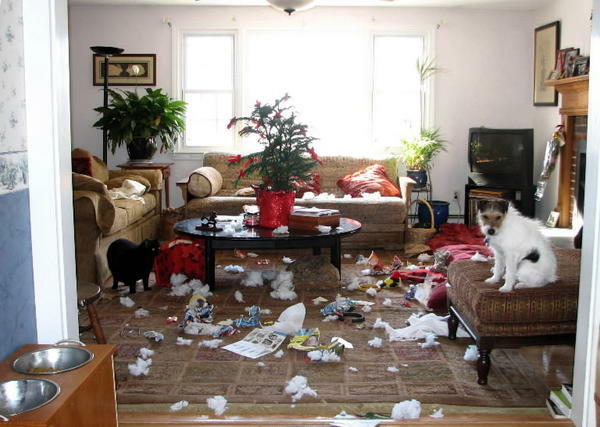 This is frequently the cause of dogs being agitated and snappy as well as destroying everything you own while you are at work. you might not have the ideal breed for your lifestyle. Some breeds benefit from working out their brains as a seeing eye dog, herding dog, compassion dog, rescue dog, or police dog, among others. But some breeds are used for detection. Detection Dogs are extra cool because they are so diverse! Dogs are used for the purposes of finding a diverse array of species, including caribou, ferret, killer whales, frogs, mussels, bees, and turtles. But it’s not just animals! 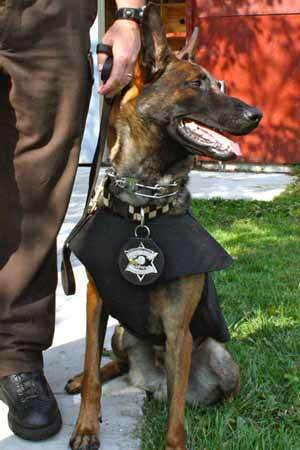 Detection dogs have emerged as a valuable tool for wildlife biologists. The dogs can help in so many ways! 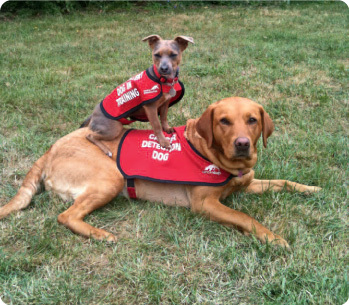 Dogs are trained to detect certain types of invasive species on boats. Spaniels have been trained to find bumblebee nests. 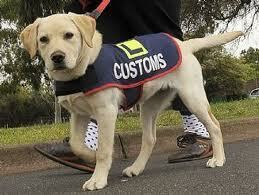 Detection dogs are able to discern individual scents even when the scents are combined or masked by other odors. So if you think you can hide your weed at the border in a container of coffee, you better think again! 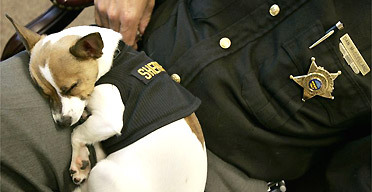 A sniffer dog can detect blood even if it has been scrubbed off surfaces, which makes them top detective doggies! So, why did our building choose to use dogs to snuff out bed bugs? Because there has been an increased focus on green pest management, thus, bed bug detection dogs are gaining popularity. Dogs are a safer alternative to pesticide use. If operators can find out exactly where bed bugs are located, they can minimize the area that needs to be sprayed. Sniffer dogs have a 97.5% correct positive indication rate on detecting bed bugs with zero false positives – AND they can distinguishing bed bugs from carpenter ants, cockroaches, and termites. 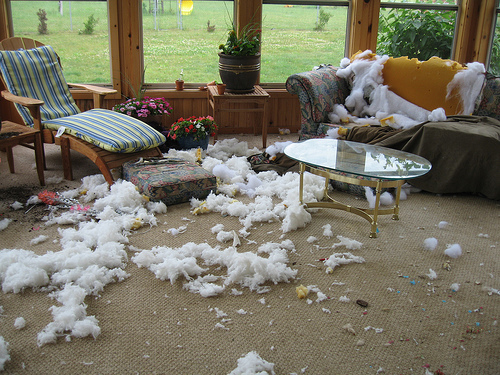 Dogs smell in parts per trillion and can detect bed bugs even as mere eggs. Bed bug detection is complicated by the fact that the insects can hide almost anywhere. 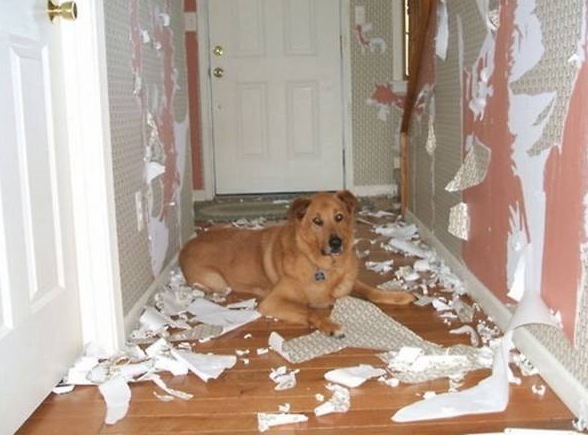 But detection dogs solve this issue because they are small and agile, finding bugs in places humans cannot such as wall voids, crevices and furniture gaps. So, dogs are loyal and loving, but also ultra useful, hardworking, and all around awesome! I did get to pet the bed bug doggies in the end! ….And we don’t have bed bugs. This entry was posted in animals and tagged alternative, bed bugs, bedbugs, detect, detection, dogs, green, job, jobs, pest control, smell, sniff, work, working. Bookmark the permalink.